Home > What is My Dog Thinking? > Why Do Dog Destroy Furniture – Part 2. Tips You Can Do To Stop This Behavior! Filed under Buddy Beds Orthopedic Memory Foam Dog Beds, Dog Behavior and Training, What is My Dog Thinking? 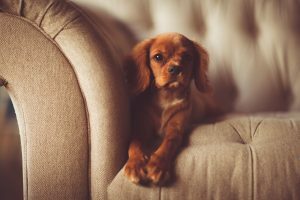 Why Do Dogs Destroy Furniture? 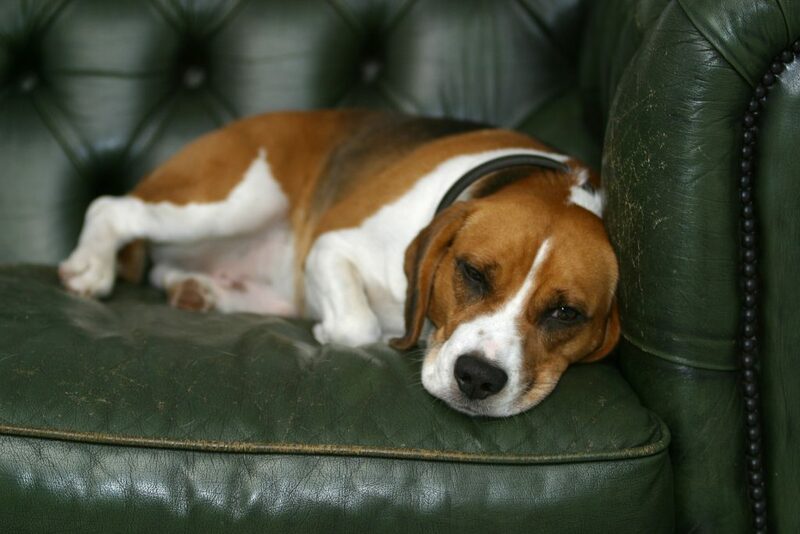 Now that you understand the underlying causes of our dogs destroying the furniture, what can you do? Have you ever looked under your couch cushions?? All those snacks, popcorn, crumbs, and whatever, are a modern day dinner table for your dog. Dogs, with their advanced sense of smell, find this an engraved invitation to find out more. Once they find this possible bonanza, the licking, chewing and digging are certain to follow. The best thing is to keep crumbs from accumulating, before the odors get into the furniture. Toys! Oh how we love toys. Dogs are learning what is appropriate to chew and what is not. Their very own toy box stuffed with tennis balls, squeaky toys, plush toys, rawhides –whatever your dog loves. Every time they head for the furniture, put the special toy right next to the furniture target and say “No chew”. After which, “look in your toy box” most dogs will learn what these words mean. Especially if the toy box is peppered with some dog biscuits. Many dogs can chew on a tennis ball for hours. Exercise. In Part 1, we discussed how exercise is the main reason for destruction. Dogs naturally have energy, it was breed into them. Most dogs do not get the exercise they need. Even a short 10 minute walk before work will burn some of that energy, and hopefully will negate the need to spend energy destroying things will you are gone. Plus, who doesn’t love spending time with their dog? Walking is a bonding experience which helps dogs feel secure. Secure dogs are the least likely to be destructive. 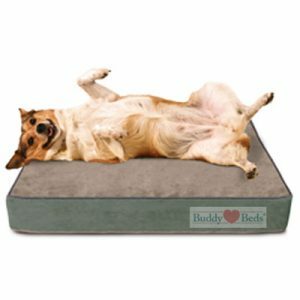 Buddy Beds memory foam dog beds dog behavior dog training puppies Why Does My Dog Do That?